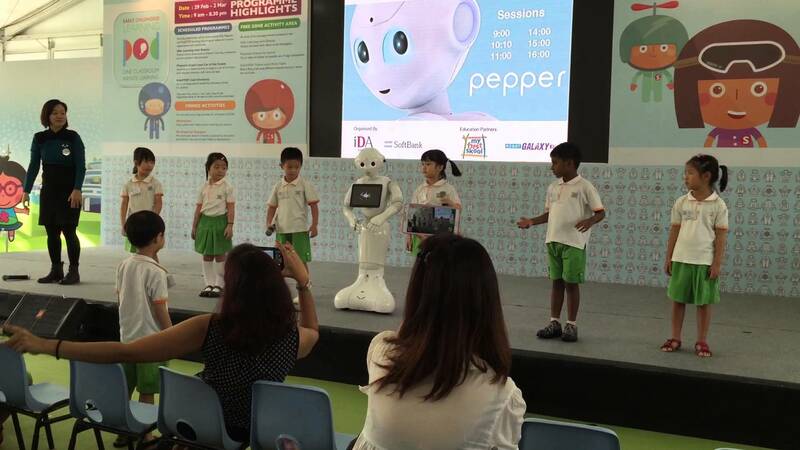 On May 31, IDA announced their pilot program for social robots to teach mathematics and social skills to children in kindergarten. 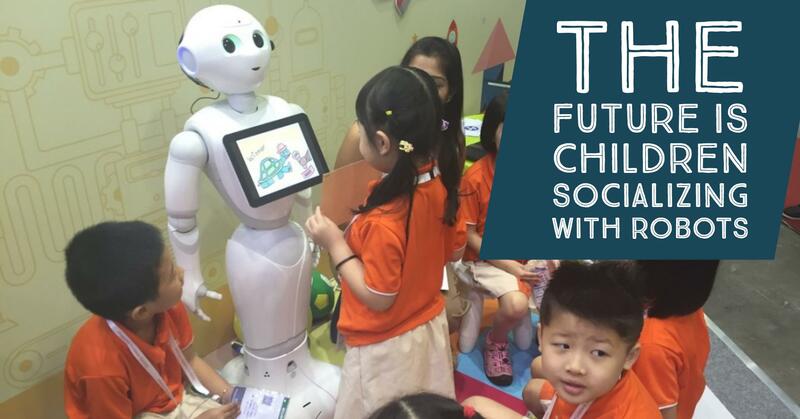 The 7-month long pilot program which ends in October this year focuses on how social robots can complement traditional teaching methods and how children react to robots. The two robots Pepper and NAO stand at the forefront of interactive robotics technology and are each currently working with the children at My First Skool Jurong Point and My World @ Bukit Panjang respectively. 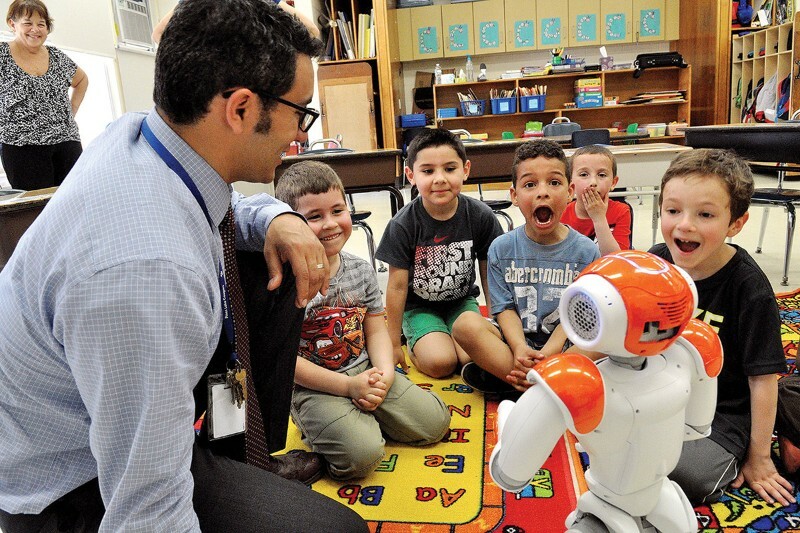 The robot acts like a cartoon-like intermediary between adults and children, bridging social barriers between teachers and students. Pepper and NAO both can read and express emotions, a feat achieved by their ability to recognise voice tone, facial expression and learn its user’s emotions through interaction. As a result, they are capable and very patient caretakers, easily befriending children. In a report by GovInsider, Archana Mandar Godge, a teacher from My First Skool, explained that there are some kids who need more attention in class, and “with Pepper at my side, it’s much easier for me to do that.” Social robots not only interact with children, but are also pre-programmed with responses relevant to the lesson plan. Positive feedback from the pilot program is definitely great news for the proliferation of the program, which, if considered successful, will be expanded to three other schools. I am all for robots as teaching aides, especially at the lower primary school levels to ease the children’s transition into the classroom. Primary 1 and 2 are important years to socialise the child into the formal education setting which they will be involved in for at least the next 10 years of their life, and social robots can not only promote interaction from shy children, but also teach the child how to interact with others by leading through example. Social robots are programmed to be kind and friendly, and will serve as a relatable role model which the children can learn from. Furthermore, social robots might be able to help teachers improve the quality of education in our classrooms. In 2015, the Pupil-Teacher Ratio was 1:16 in primary schools, but class size was 33.6 on average, meaning that in classrooms, 1 teacher would be handling 33 children at once. The inclusion of robots would improve the quality of education as teachers would have an assistant to ensure each child receives more attention for their needs, making the learning environment more conducive overall for each child. The trend of robots taking over jobs from humans has been here since industrialisation, but it is not all doom and gloom for teachers as social robots can only serve as assistants. Social robots need to be programmed with the lesson plans in order to work, and their pre-programmed responses mean that they will be unable to adapt, should any situation arise. Therefore, it is not a worrying sign that robots are becoming more and more sophisticated and capable, rather, the use of robots enable us to do much more that we otherwise are able to.